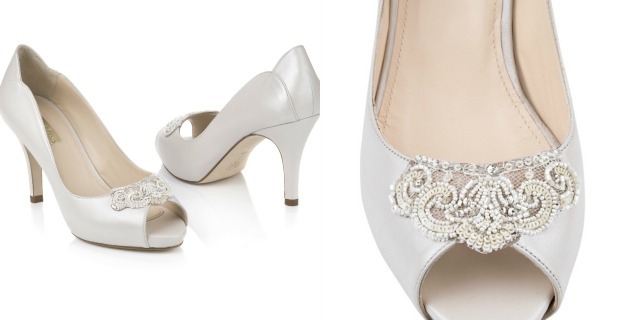 I’m so excited to share with you the beautiful new additions to the Rachel Simpson bridal footwear collection and even more excited that for the next week only, pop the code WTW10 in at the check-out and you’ll get a 10% discount!! (valid on the new collection only). So, take a look, fall in love and then take advantage of this very generous offer. 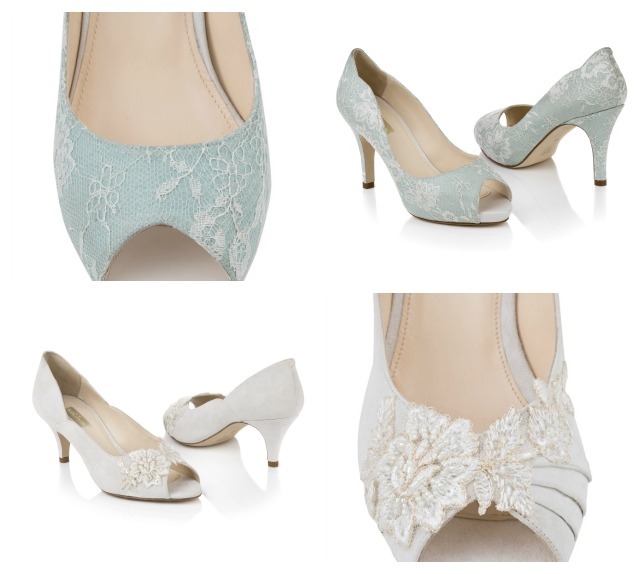 Last month saw the launch of a beautiful new capsule collection by award-winning shoe brand Rachel Simpson. Already known for their understated yet elegant design, this collection combines this with beautiful materials to give a truly luxurious style. 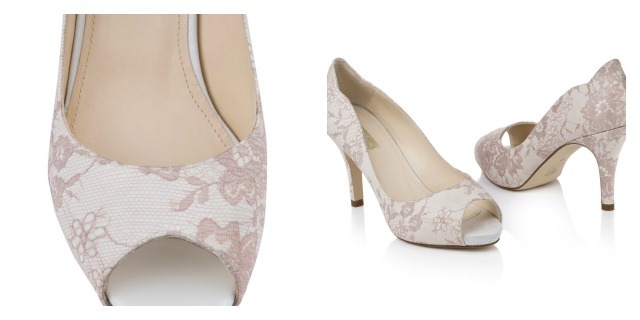 Each shoe has been thoughtfully designed with an elegantly cut silhouette, to fully emphasise the beautifully delicate fabrics. Italian silk lace is overlaid on satin; softest kid suede is embellished with embroidered flowers, and intricately beaded French lace is set beautifully against antique rose suede. 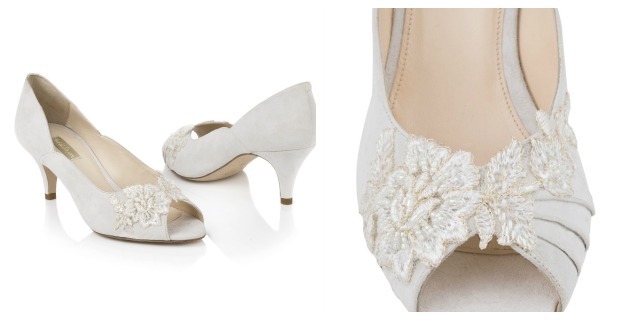 Esme: a chic peep-toe in soft ivory kid suede with ivory & antique gold beaded floral trim. The low heel height offers comfortable wearability. 6cm heel. 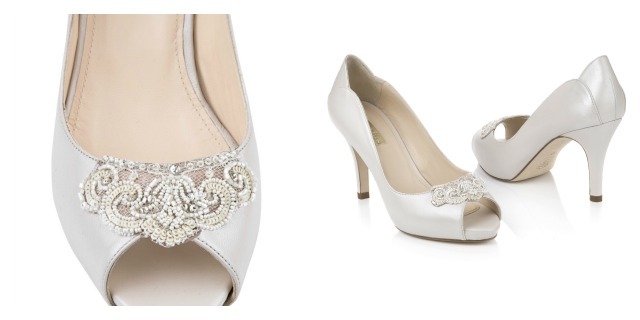 Juliette: a stunningly simple platform in pearlised ivory leather, finished with beaded French lace trim, overlaid on antique rose suede. The concealed platform construction offers maximum comfort. 9.5cm heel. 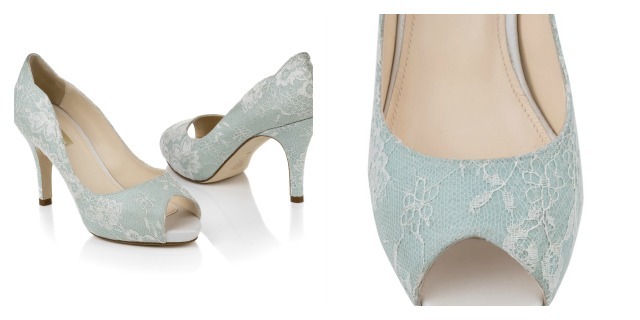 Anais: a beautifully feminine platform in silk Italian lace, overlaid on satin. Available in antique rose and duck egg. The concealed platform construction offers maximum comfort. 9.5cm heel. 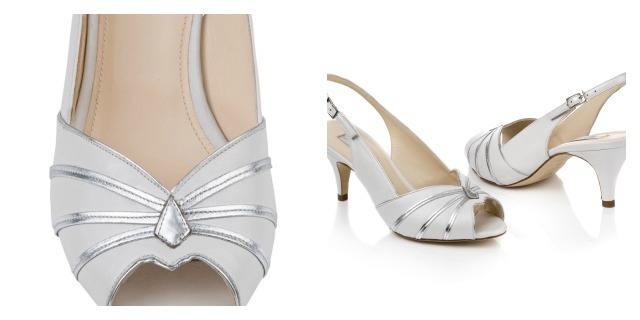 Cleo: a stylish deco-inspired peep-toe slingback in pearlised ivory leather with metallic silver detail. Can be worn on it’s own or with a selection of beautiful handmade shoe clips. Wearable 6cm heel. All Rachel Simpson shoes are beautifully made in Spain, where Rachel works closely with two factories to achieve a high quality and comfortable fit. The collection will be launched online in November 2012 and available to buy both online and in nationwide stockists from December. 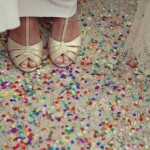 Thank you so much for sharing these gorgeous additions with the Want That Wedding blog Rachel.